The classic beer mug beautifully engraved makes a great gift. Enjoy your frosty ale or lager in style! Etching is permanent and the glasses are all dishwasher safe! 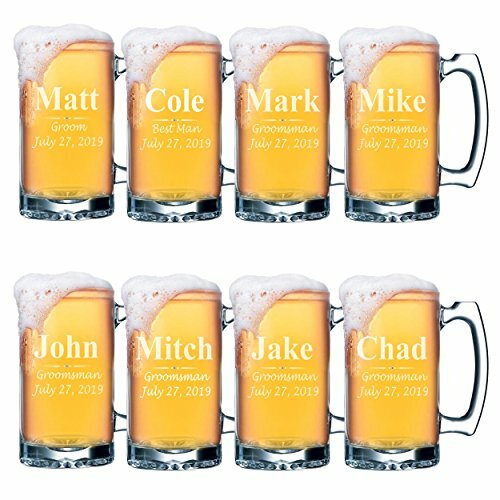 Great for wedding parties, housewarming gifts, groomsmen gifts and much more! Holds 25 oz.